“I am a Zionist,” Conservative Party leader David Cameron told an audience of party supporters of Israel in London on Tuesday. “If what you mean by Zionist, is someone who believes that the Jews have a right to a homeland in Israel and a right to their country then, yes, I am a Zionist and I’m proud of the fact that Conservative politicians down the ages have played a huge role in helping to bring this about,” Cameron declared. The Conservative leader was guest of honour at the Conservative Friends of Israel annual business lunch, which was attended by some 500 people – including half the parliamentary party, 30 Conservative parliamentary candidates, former leaders, lords and Israel’s ambassador. Britain’s biggest bank HSBC has been dragged into yet another potential scandal over claims that it set up offshore accounts in Jersey for suspected drug-dealers and fraudsters. H.M. Revenue & Customs launched an investigation after a whistle blower leaked details of £700m allegedly held in more than 4,000 accounts hidden in the island tax haven. Many of the account holders are now being probed for tax evasion, while HSBC could face sanctions from regulators if it is found not to have flagged up suspicious deposits to the Jersey authorities. 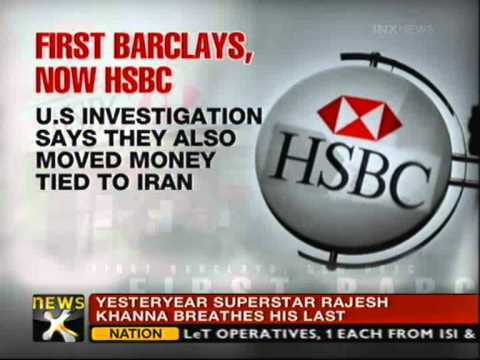 The latest revelations come just months after it emerged that HSBC allowed rogue states and drug cartels to launder billions of pounds through subsidiaries in the US and Mexico. It is expected to face fines of up to £1billion over the affair. Former chairman Lord Green, an ordained priest in the Church of England, is now a trade minister in the Coalition government. David Cameron was challenged over the long-standing links between scandal-hit HSBC and the Conservative Party, after Electoral Commission records showed three senior bank figures donated £875,000 to the party in recent years. As Downing Street came under more pressure over revelations that the bank allegedly helped wealthy individuals evade tax through Swiss accounts, it was revealed that HSBC’s deputy chairman, Sir Simon Robertson, had made 24 separate donations totalling £717,500 in the last nine years. He gave 17 donations to the Conservative Central Office between 2002 and 2014, and four totalling £100,000 to George Osborne between 2006 and 2009. The other three went to the party in East Hampshire. Sir Simon, who was knighted in 2010, is reported to have a personal wealth of £10m. 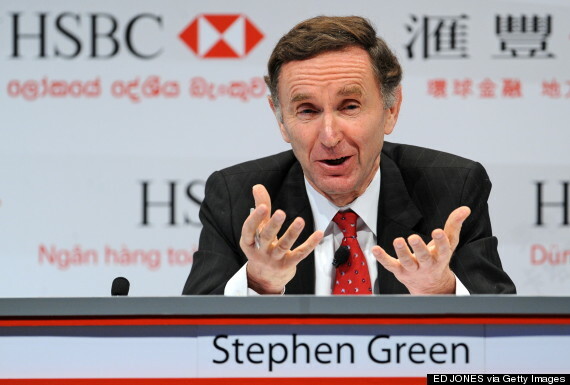 Stewart Newton, who was a director of HSBC Holdings from 2002 to 2008 donated £128,000 between 2001 and 2013, including payments to the Tory associations in marginal seats in Sussex, Essex and Suffolk. And Sir Adrian Swire, who was an HSBC director between 1995 and 2003, has given £30,000 to the party between 2003 and 2014. In June 2015 HSBC was fined by the Geneva authorities after an investigation into money laundering within its Swiss subsidiary. The fine was 40 million Swiss Francs. It is pertinent that although the incriminating documentation was stolen in 2007/8 and handed over to the French Government it was not made available to the UK Govt (by the French Govt) until May 2010. This means that the last Labour administration were not made aware of the probable wrong-doing until they were leaving office. It also means that the Coalition knew all along (ie for almost 5 years) and did nothing… other than accept more bribes, that is. Labour also pointed to the appointment of Dave Hartnett, the HMRC permanent secretary under Mr Osborne, (http://www.telegraph.co.uk/finance/personalfinance/7996652/The-free-drinks-and-dinners-of-Britains-most-senior-tax-man.html) And of Lord Rose, a Tory peer, as HSBC advisers as evidence of close links between the bank and the party.